With the fall season soon approaching, now may be the perfect time to encourage both your current and prospective customers alike to invest in some energy efficient winterizing projects to help their home remain comfortable during the cooler months. As a Spray Polyurethane Foam (SPF) insulation contractor, it’s important to share with customers – that by investing in a number of simple, yet cost-effective measures – they can reap numerous immediate and long-term benefits. While instinct may urge homeowners to increase the heat during winter and keep their home warm and toasty all day long, it’s not always cost-effective. Investing in a programmable thermostat allows you to adjust the temperature remotely, lowering the setting when the house is empty, and save money in the process. 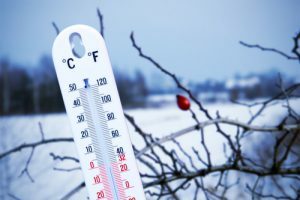 By keeping the temperature low when no one is home – and programming the thermostat to increase the temperature when everyone returns – homeowners can easily notice a 10 percent drop in overall heating costs. The fall months are also an ideal time to ensure a home’s furnace is functioning optimally. Tell customers to schedule an appointment for a professional to inspect and clean their furnace once a year. By doing so, they will help their furnace function more effectively and last longer. If ice damming on your customer’s roof is an annual problem, tell them to consider taking measures to reduce the risk of ice dams forming. Major damage can result from ice damming, so it’s never too early to start thinking about a solution. Ice damming happens when warm, indoor air escaping through the roof melts snow on the shingles. The water then refreezes as it runs off the roof, creating a barrier of ice at the edge. While caulking or weather-stripping can help address the gaps allowing the air to escape, proper air sealing insulation and attic venting are the best methods to stop ice damming from occurring. Polyurethane foam insulation is also a modern material that both insulates and seals to reduce the risk of ice damming. Best installed by professionals, spray foam insulation, like that available from Intech Equipment and Supply, works well in all climates to limit air leakage and help maintain an even, comfortable temperature in the living areas of a home. And as a long-term solution, spray foam insulation helps maintain a comfortable temperature year round while helping to control monthly heating and cooling expenses. And thanks to its air-sealing qualities, homeowners can reduce the size of their heating and cooling equipment since less effort is required to heat or cool the home. Finally, SPF is not a DIY product, so it’s important that homeowners work with a trained and licensed contractor to ensure that the foam is installed safely and properly. More information about polyurethane foam insulation and Intech can be found at www.intechequipment.com.